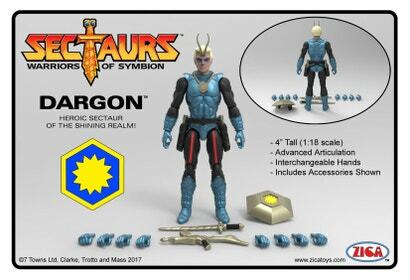 Released by Coleco in 1985, Sectaurs: Warriors of Symbion was a children's toy line about a planet where giant insects and arachnids roam free and humans mutated with bug DNA wage war over control of a mysterious "ultimate power". Toys included action figures and giant rideable spider hand puppets. They were terrifying. Now Zica Toys wants to bring them back.